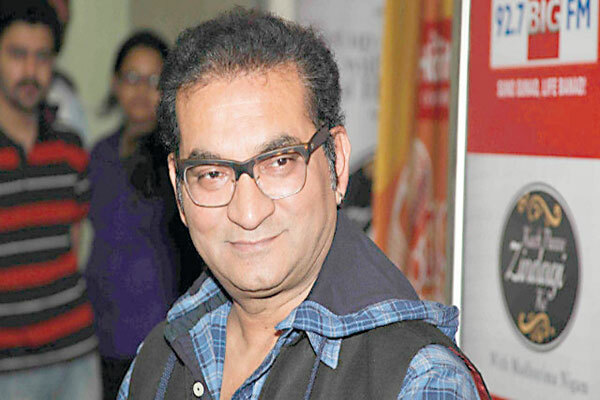 Abhijeet Bhattacharya, made famous in Pakistan for his anti-Atif-Aslam rants a couple of years ago, was one of the first people to jump on the recent #BanPakistaniArtists in India bandwagon. After first attacking Pakistani artistes working in India, he then turned on his own Bollywood fraternity, calling the Khans, Kumars and Kapoors “Pak-Lovers”. His homophobic tweet – “Another #lovejihad .. Mehbooba #KaranJohar is in depression…pak lover fawad ditched bechari Mrs @karanjohar khan” – got nationwide coverage, which is obviously what Abhijeet wanted since he apparently has no other means of attention these days. “Aadmi hu aadmi se pyar karta hoon,” directed again at Karan Johar, followed the first rant and then he and his followers went on a verbal rampage against anyone who had voiced some artistic reason in the entire state of affairs. The best (or worst) thing about this dude is that his foot is perpetually in his mouth. He was recently arrested for making abusive comments against a female journalist (Indian, not Pakistani), after which he broke down in tears saying this was the price he paid for being a nationalist. No one comes close to Abhijeet when it comes to vitriolic discourse but Anupam Kher’s bitter and often snarky commentary has been distasteful. “I have worked with Ali Zafar,” he said in an interview with NDTV. “I want to ask him why he didn’t condemn the Uri attack.” He later added that he understood that artists were in a quandary because they don’t want to condemn their own people, “But if they think the terrorists weren’t from Pakistan, what is their problem in condemning the attack?” he asked. Okay, now we’d believe these were words of a balanced commentator but we also happened to catch him on Arnab Goswami’s News Hour where he unloaded much more vitriole. As expected, Kher’s issues dated back to the Karachi Literature Festival, when he was “denied” a visa. Authorities in Pakistan put the record straight by saying his documents had not been submitted in time so the fact that Mr Anupam Kher is carrying such a petty grudge and the way he keeps injecting it in every possible situation just says a lot about his anti-Pakistan stance. 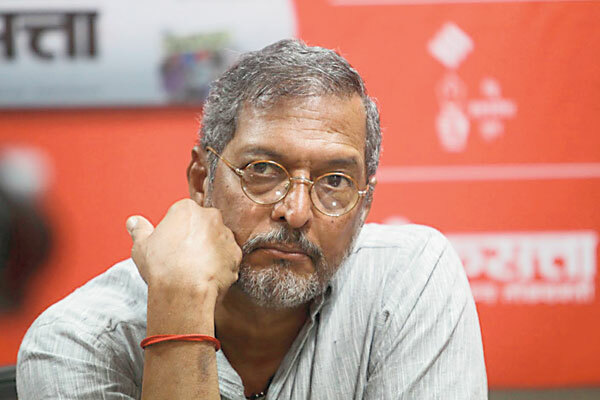 Over the years critics have appreciated Nana Patekar for being a great performer (and he has won numerous awards) but you’d have to agree that he tends to go overboard and can get a tad bit annoying. He speaks in hyperbole and often acts in exaggeration. So naturally, it is expected that he would behave the same way when asked to comment on the current situation. A lot of word slinging followed, with Pakistani memes on Sami picking on his weight loss as being the only ‘surgical strike’ performed in India. They were funny, as were Sami’s attempts of sounding mature and responsible in these difficult times. You should know that Sami’s father served in the Pakistan Air Force as a fighter pilot; we don’t think he’d be too happy at the change of guard. This article was first published in Instep, 9th October 2016.